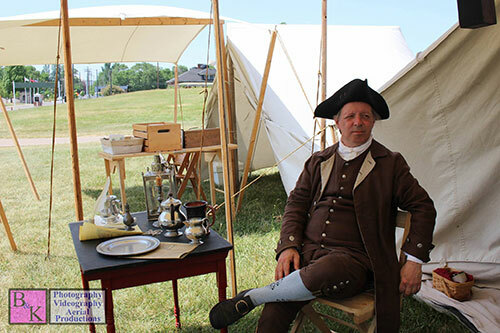 Our annual Colonial Days event lets guests look at early America, many decades before Historic Fort Wayne was built. However, there is still a lot to talk about as Detroit was already a city and trading and farming were important in the area. A French drummer boy beats his cadence, as seen through a nearby tent. 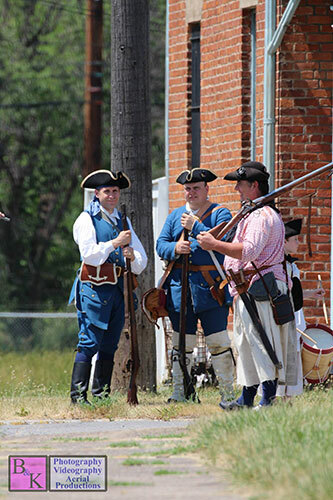 The blue clothing of the French Marines are seen as men wait for action. 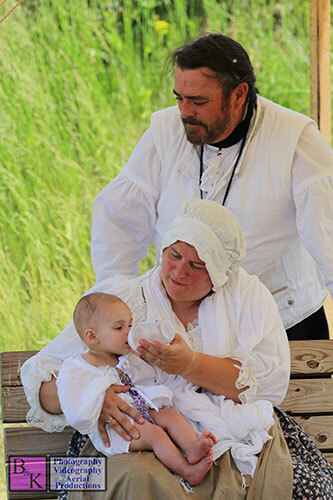 Sometimes we get to be part of "firsts" at Historic Fort Wayne. 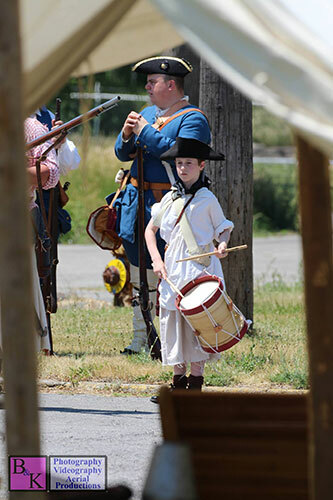 Here is the young grandson's first re-enactment. Welcome, young lad! 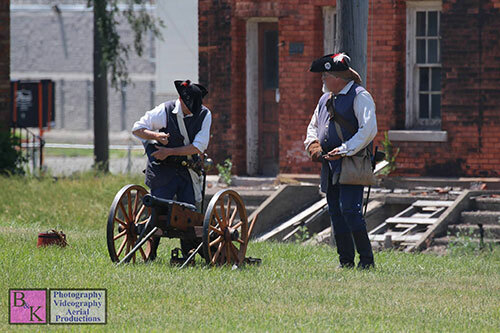 Artillery firing is displayed at the event. 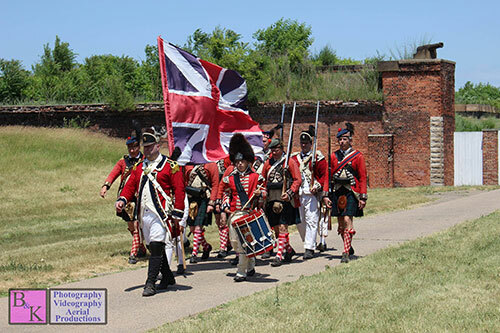 Forces of the British march out of the Fort. 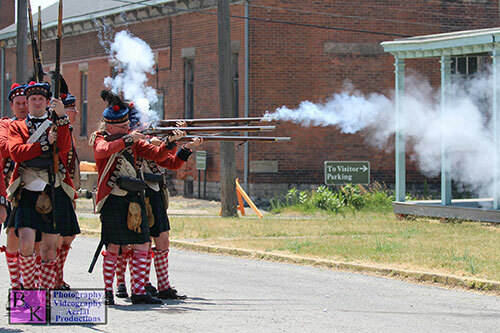 In a display staged near the Spanish-American War Guardhouse, the British forces give a firing demonstration. 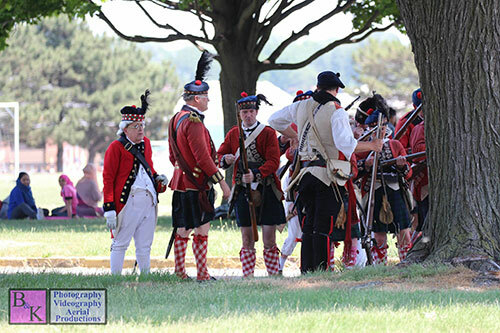 With guests watching on, members of the British forces reload their muskets. There are two sides to every story. Across from the British sits Paul Revere, as portrayed by Ken Giorlando. 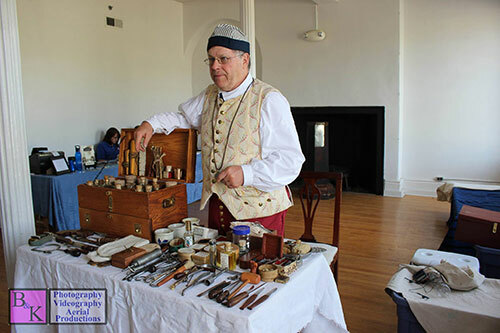 Inside the barracks, guests could meet medical personnel and learn about medicine during the Colonial Era. 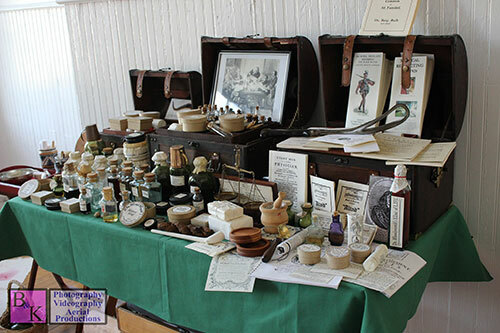 Static display of a doctor's kit. 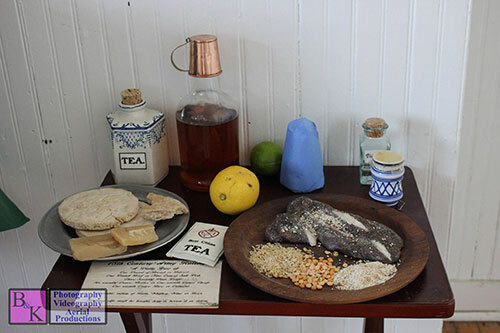 On display here is the ration for a soldier during the colonial period.